Take a big step forward in value, control, and productivity. Pick the SoftGrip™ EZ pistol grip or our patented Z-Control™ for zero-turn comfort. You're in control with our Hydro walk-behinds. 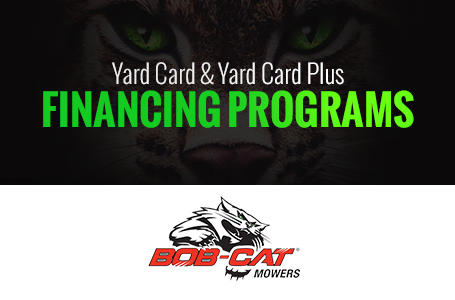 Take a big step forward in value, control, and productivity with the BOB-CAT® hydrostatic drive mid-size walk behind mower. Choose our patented Z-Control™ for zero-turn maneuverability or the SoftGrip™ EZ pistol grip. Both are comfortable and easy to use with less operator fatigue. You'll benefit from all-day comfort and proven performance. They're the mid-size walk-behinds that will keep you out in front. Peace Of Mind With Mow With Confidence - Industry Best Warranty: 3-year / 2,500 hour limited warranty. Extreme Discharge System With Duradeck™ Sets The Standard: Out in front with a great cut! The improved clipping dispersal from the Extreme Discharge System and DuraDeck. 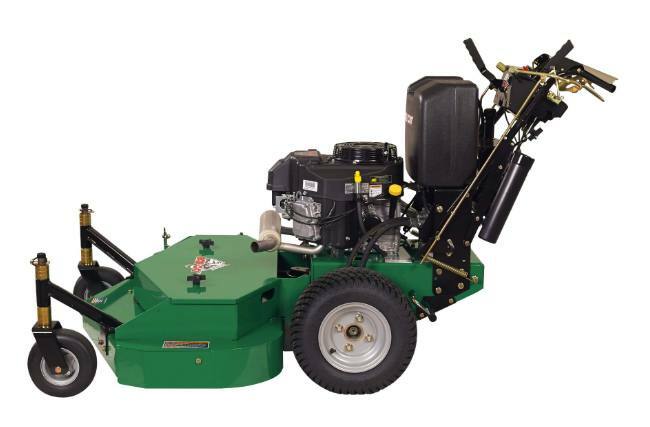 delivers a high quality of cut when you side discharge, mulch or bag. 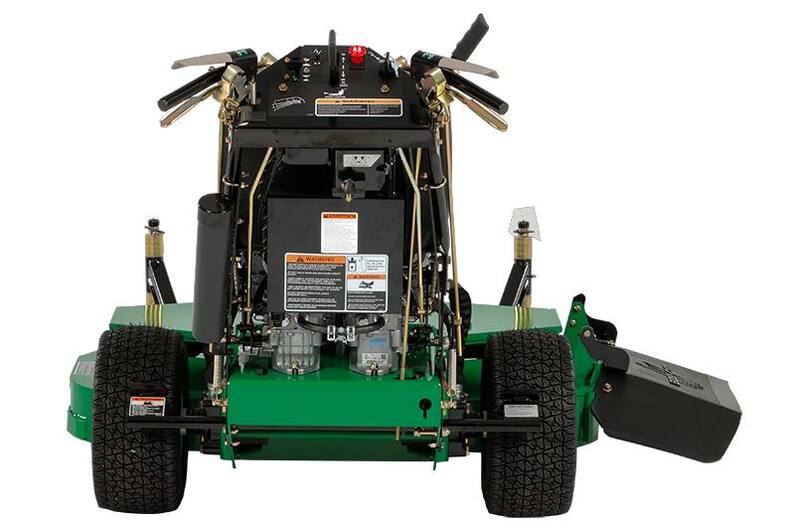 The Extreme Discharge system allows you to produce a world-class cut on all types of turf. Providing improved clipping dispersal and preventing scalping and damage to turf, the DuraDeck™ helps you take charge and get the job done right. Equipped with a new resilient molded rubber discharge chute for improved clipping dispersal, BOB-CAT® keeps you moving forward. Easier Maintenance And Lower Cost: Single-belt routing on the BOB-CAT® Hydro mid-size walk-behind means a longer belt life; and lower maintenance costs equal more productivity with more uptime. Fewer service points, maintenance-free heavy duty spindles and wheel bearings, long-life belts, heavy duty electric clutch and offset cutter blades keeps you moving forward. Easy Handling & Control: BOB-CAT® Hydro with pistol grips and Hydro with Z-Control™ walk behind mowers offer comfortable controls to minimize operator fatigue. The Hydro features New SoftGrip™ EZ controls with a shorter throw and wider paddles for reduced effort. The new design also features Operator Presence Levers that conform to the handle shape and fit in the palm of the hand. The improved roller thumb latches have also been updated with a more ergonomic design that makes it easier to engage and disengage drive controls with a flick of the thumb. The Hydro with Z-Control™ provides smooth zero-turn maneuverability with ergonomically designed levers, an easy-to-use speed control bar and a reverse assist bar. Dual hydraulic pumps and wheel motor offer ultimate control and boost productivity. Peak Productivity: Take a big step forward in value and performance with these flexible mid-size walk-behinds in your choice of 36", 48" and 54" deck sizes. 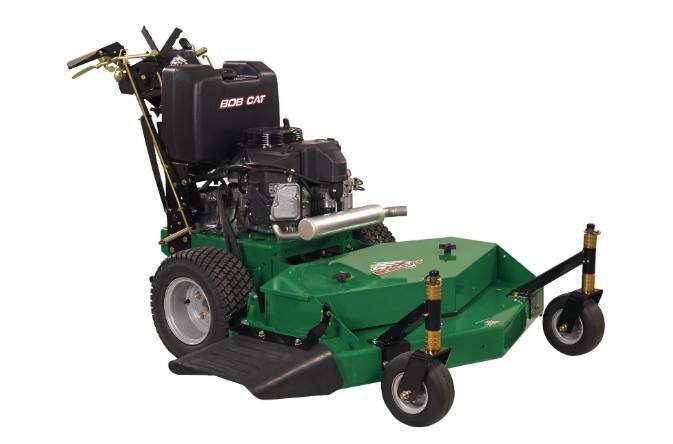 Powered with reliable Kawasaki® FS Series engines in electric or recoil start. The low positioning of the aluminized steel horizontal muffler allows you to easily maneuver under shrubs and bushes, resulting in a clean cut every time. All this plus our NEW flat-free caster wheels deliver the mower you need for maximum uptime. Optional grass catchers integrate without chute removal. All deck sizes are available with mulching kits to extend the versatility of your mid-size walk-behind mower. Deck Design: 36" and 48" Decks: DuraDeck™ side discharge with fabricated 7-gauge top plus reinforcements of 10-gauge, 7-gauge, and 3-gauge. Discharge: Durable molded rubber chute resists hard knocks to keep you moving forward. Durable molded rubber chute resists hard knocks to keep you moving forward. 2018 BOB-CAT® Classic Pro 32"
2018 BOB-CAT® Classic Pro 36"
2018 BOB-CAT® Classic Pro 48"